As part of the recent groundswell of reducing our impact on the oceans (& planet). 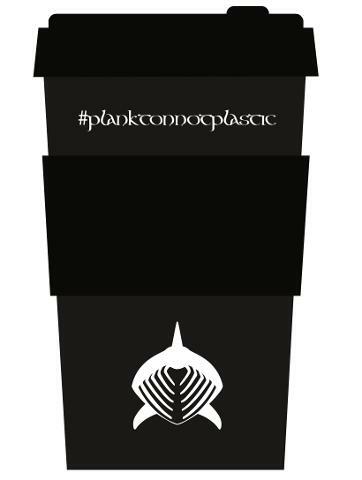 We had commissioned bespoke basking shark reusable cups which will help by not using single use take away coffee/tea cups. Each year 100 billion single-use cups end up in landfill. This cup will help stop unnecessary throwaway cups and also save you money as many places give a discount for re-usable cups! The 14oz / 400ml cups are made from bamboo fibres (which can be composted) with the holder and top from food grade silicone (can be recycled in kerb side recycling). They will usually last a few years under hard use and individual parts are replaceable. You can save money on your take-away hot drinks by visiting retailers that offer discounts for re-usable cups. For example Costa in Oban do 25p off which is really cool! Just give you cup a wash when your on the move and keep it with you. Our campaign #planktonnotplastic is going to highlight the impact of plastic on the oceans including our gentle giant the basking shark. 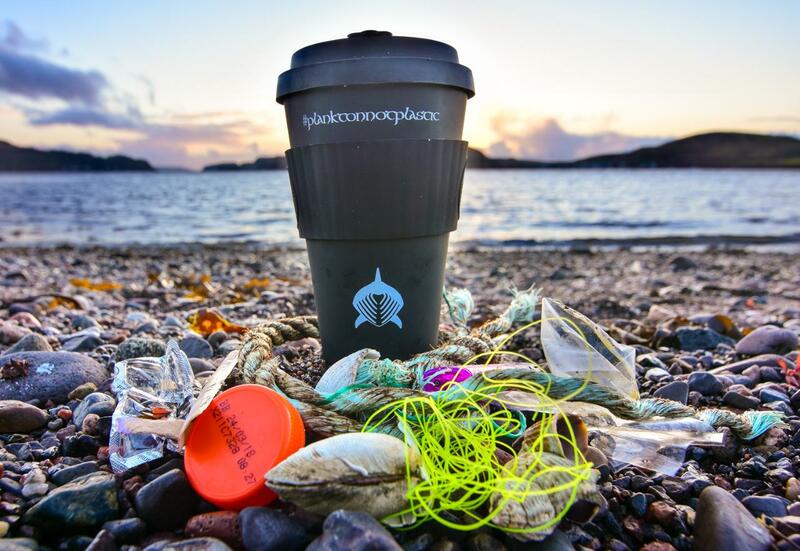 All profits from the sales of these cups is going toward our scientific study of the basking sharks, more details of the general science programme is available on the website here. However our specific planktonnotplastic, basking sharks & marine plastic study information can be found here.